Parts4Laser is one of the leading sources of high quality parts and a variety of cosmetic laser machines. Our specialty is hair removal and skin treatment laser machines. 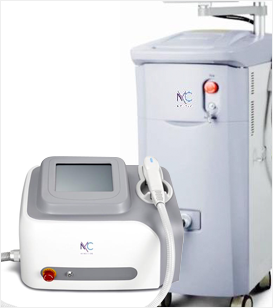 We sell, rent, service and repair all aesthetic laser machines. 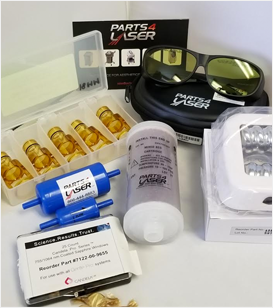 Parts4Laser also specializes in selling accessories, consumables and replacement parts. Parts4Laser provides diagnostic, repair and maintenance service for a variety of aesthetic laser equipment throughout the United States. 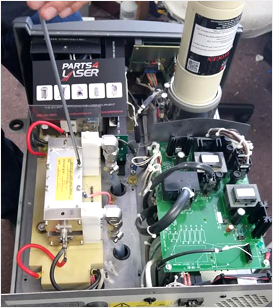 Parts4Laser works directly with the manufacturers and provides customers with fast delivery and great rates. Parts4Laser sells products nationally and globally with first class customer service. Top clients include physicians, service engineers, technicians and private spa locations. Parts4Laser also buys and sells new and pre-owned cosmetic laser machines. 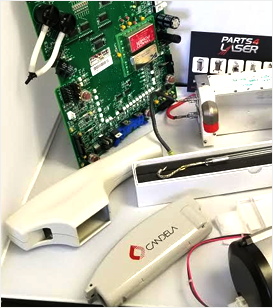 Parts4Laser specializes in the following laser manufacturers: Alma, Candela, Cynosure, Cutera, Lumenis, Palomar, Syneron, Sciton, Zimmer, and many more leading brands. Parts4Laser is not affiliated with, authorized by or certified by Palomar Medical Technologies Inc., Lumenis Inc., Alma Inc., Cutera Inc., Syneron Inc. or Cynosure Inc.